Hey everyone, I am so glad to be back home and into the routine. 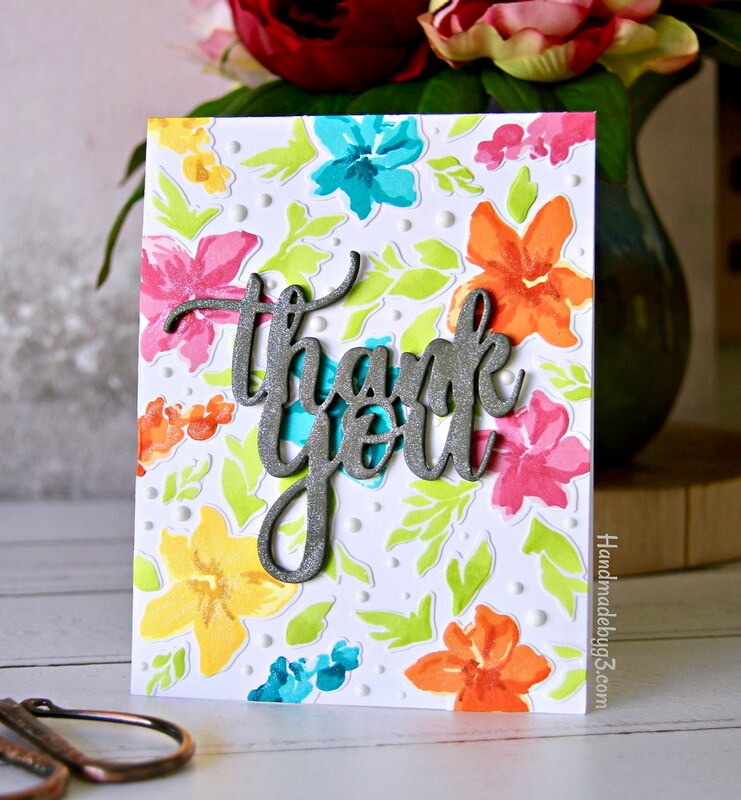 Today I have an Altenew card using the new release stamp set and dies. To get my mojo back I simply stamped a few panels using the new Altenew’s Life is Awesome Stamp set. Stamping makes me happy and content. Here is the card I made using the stamped images. I die cut all the stamped images from Life is Awesome stamp set using the coordinating dies. 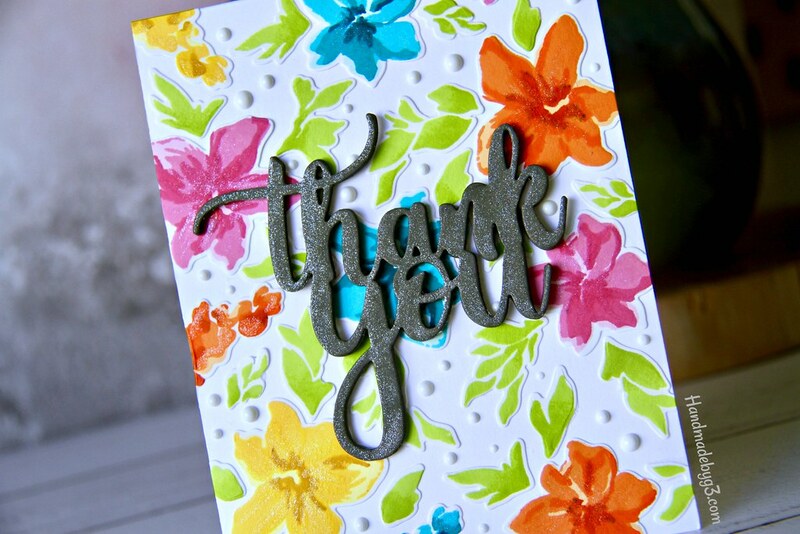 Then I randomly adhered a few of the flowers and leaves all over the card front. 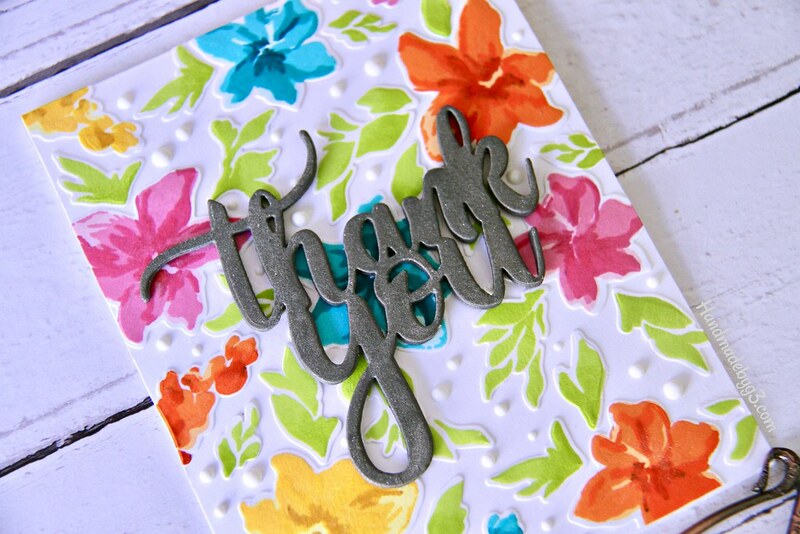 I love the pop of colour from the flowers and a sea of green from the foilage die cuts. To fill in the open spaces, I added a few white Nuvo crystal drops. Then I brush shimmer on the flowers starting from centre of the flower to the outer edge in brush strokes. Since the background is colourful, I wanted the sentiment to be bold and big. So I used the new Simply Thank You die. I die cut five using the die using Simon’s Slate Grey cardstock. I then stacked glued them all and brush shimmer on the top. 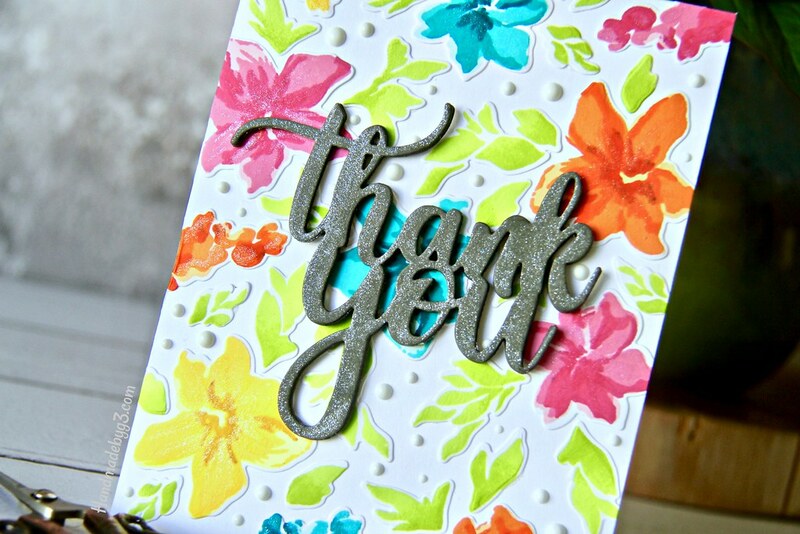 I adhered this stacked die cut sentiment right in the middle of the card front. That’s it all. I just love the colours on the background and big bold sentiment. 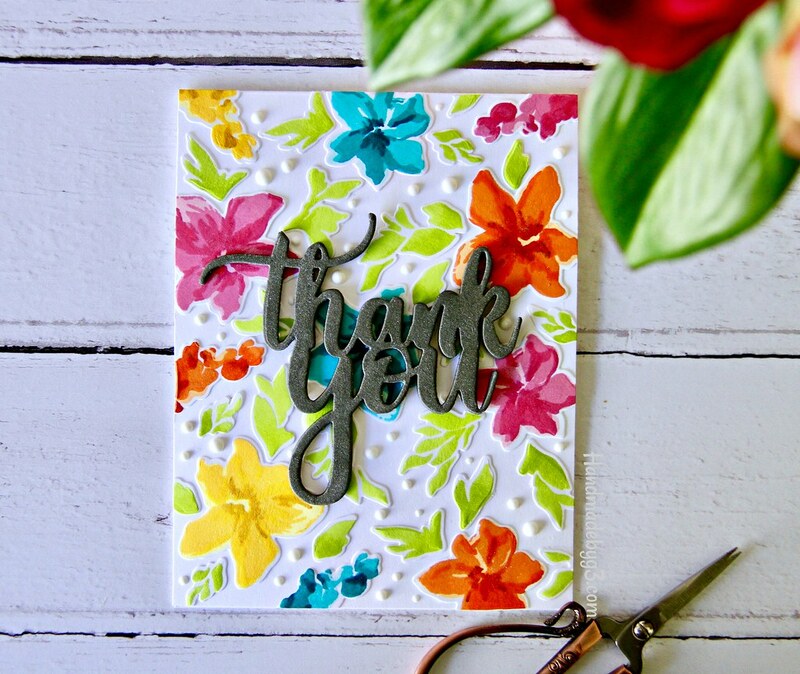 The layered florals adds to the layers and detail to the card. The Nuvo crystal drops adds texture and the shimmer adds bling. What else do you need, right? 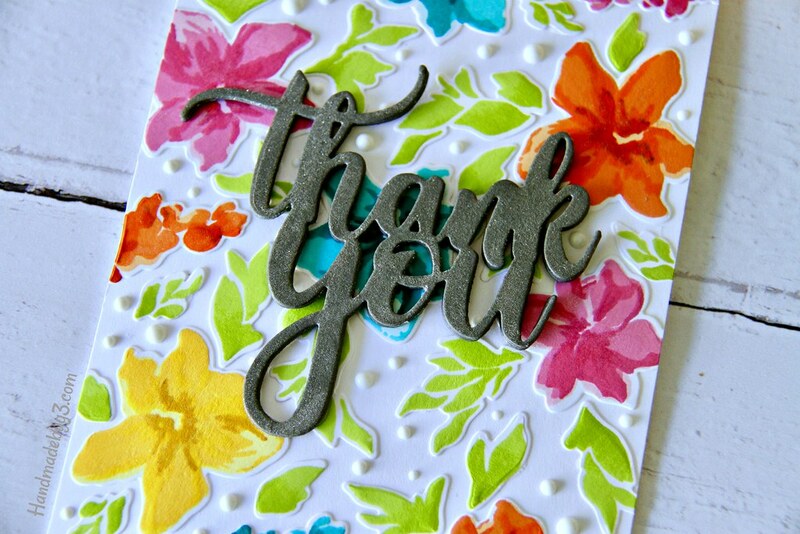 Thank you very much fro stopping by today! Have a lovely Day!